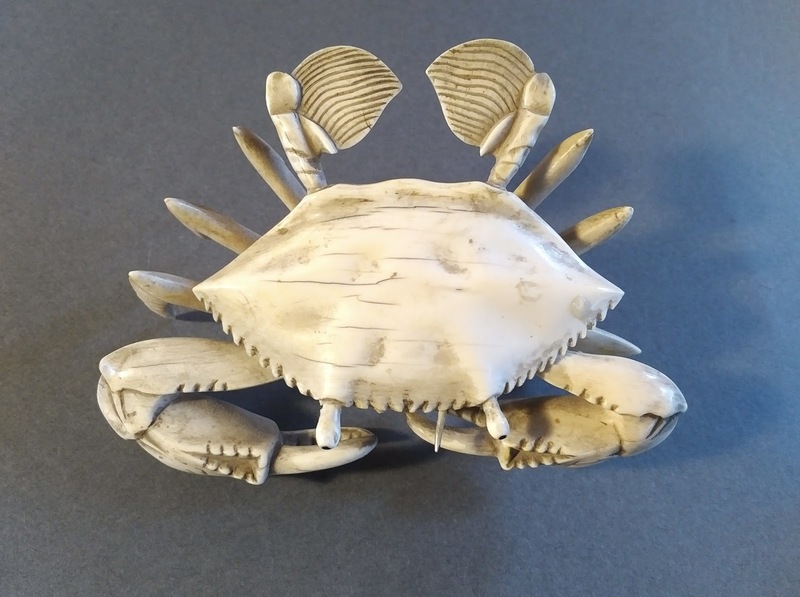 A naturalist Japanese okimono carving of a crab. 12 x 9 cm. Not articulated.